A teenager with a back injury was airlifted to hospital following a fall from a tree on Monday evening in Knockananna. It is understood the youth fell from a height of 10 meters in a wooded area close to Knockananna church, an ambulance crew from Baltinglass HSE station were quickly on the scene and assessed and treated the patient. 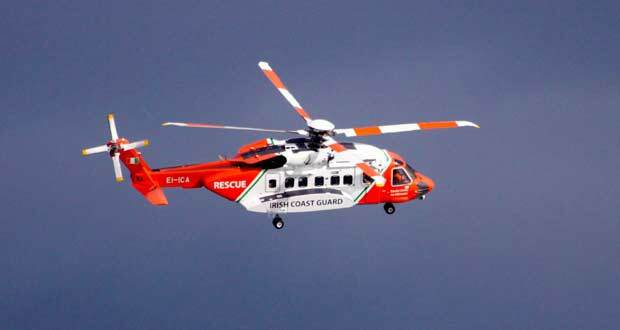 The Dublin Irish Coastguard helicopter was tasked and arrived some 20 minutes later. The youth was taken to a Dublin hospital where his condition was described as stable.